And because I'm super excited about fully participating in this game... well, in a laid back manner, of course... I've spent a few days formatting update posts, my tracking tables, and my card markers. I seem to enjoy updating in bulk lately, so here's a brief glimpse of my book plans as well as what I've already finished reading, and what I'm currently reading for 24 Festive Tasks! "Read a book about endings, new starts, or books where things go BOOM!" It took a lot of patience and perseverance, but I've finished this book.. 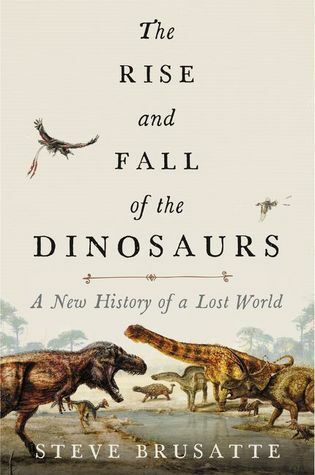 This book fulfills all the parts of this task, really, with the beginning and ending of the dinosaur era, as well as the author's chapter on a comet being the cause of dinosaur extinction--things go BOOM! The above two are books I've already finished reading within the duration of 24 Festive Tasks, and I'm just waiting to see where best to insert them. As I will mention below in the Diwali Book Task, The Woman Left Behind fits as a "latest in a series." Meanwhile, a little birdie might have told me that Midnight Blue-Light Special will fit in a later task... and now I sort of see the task in which it could fit within the ones already revealed. So again, I'm just going to let it sit here, completed read, for now and see where else I might put it. "Re-read an old favorite from a now-deceased author, a book from a finished (dead) series, or a book set in Mexico." 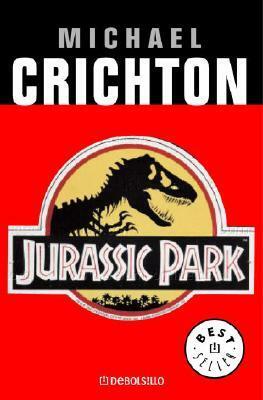 A book that recently popped into mind was Michael Crichton's Jurassic Park. Crichton was an author I always looked forward to reading during my high school years, and even though I haven't read all of his books yet, I feel like I've made a good sized dent in the list. 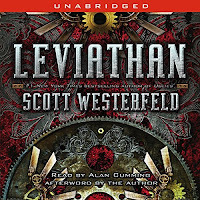 This book will fulfill the "re-read an old favorite from a now-deceased author" portion of the task. It could even count as "a book from a finished (dead) series." "Read any book that takes place in December OR with ice or snow on the cover OR that revolves around the (summer or winter) equinox OR a collection of poetry by Hafez." I hadn't really had a book selected for this door yet, but I started Midnight Exposure and found that the setting is in December, which will at least fulfill the first part of the book task: "any book that takes place in December." I'm reading this book for another challenge anyway, so I can knock out two challenges at a time. Yay! "Read anything by Terry Pratchett." Whelp, this one was an obvious choice. 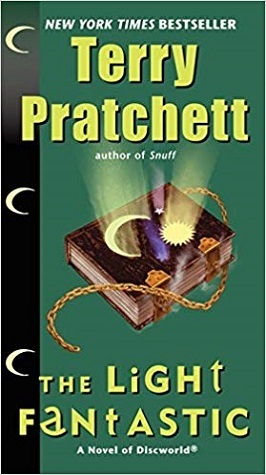 The second book in the Discworld series, as well as the next Discworld Book Club read, of which will start in December. Looking forward to it! I'm still considering books for the following Door Book Tasks, if only because I've got several other books on my reading itinerary at the moment, so these aren't really a priority or anything. But there are books that can be considered for these Doors, and thinking out loud (or in blog form, more like) tends to help me make decisions. Of course, in some instances, I've got more than one book that will fit a Book Task, so I don't want to make any definite decisions yet. Guy Fawkes Night (November 5): Set in the UK, political thrillers, involving any monarchy or revolution; books about arson or related to burning. I'm considering The Scarlet Pimpernel by Emmuska Orczy for this one, but I also have a couple crime thrillers involving arson I could use, like Nora Robert's Chasing Fire. So this one is still undecided. Melbourne Cup Day (November 6): About horses or a horse on the cover. 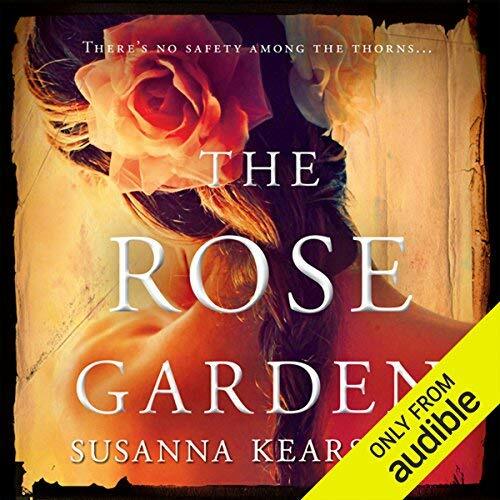 Books with roses on the cover or about gardening; anything set in Australia. A book with roses on the cover or horses on the cover shouldn't be hard to find. 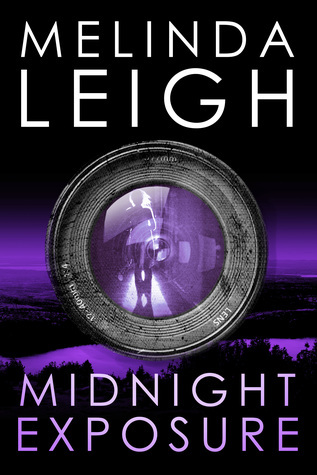 I DO have one book that takes place in Austrailia, but it was a Kindle freebie that I never really felt in the mood to read. On the other hand, I also have a Susanna Kearsley audio book that would fit here as well. The truth is, it's a big possibility I'll just read (or rather, listen to) The Rose Garden. I really will just read all three of these books anyway, then decide where to insert them, with the hope that these books may qualify for any future, as yet revealed Door's Book Task. Armistice Day (November 11): Read any book involving wars, battles, where characters are active military or veterans, or with poppies on the cover. I think I've got several books that may work for this one. 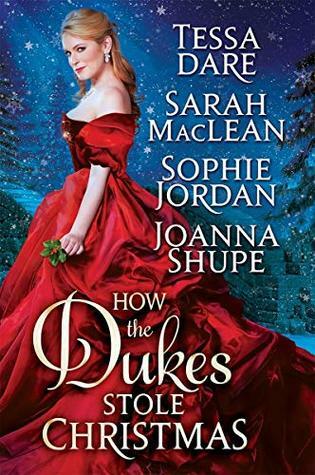 Obviously, as a romance reader, I've considered those infamous military romances. However, going through the list of books I already own, I've found a few books that might do it. I've got at least two military romances, Cover of Darkness by Kaylea Cross, the second in a series. Next is Behind Enemy Lines by Cindy Dees, the first book in a series. 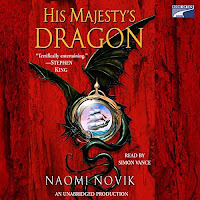 Then there are two fantasy novels, Leviathan by Scott Westerfeld, and His Majesty's Dragon by Naomi Novik (both audio books narrated by two narrators I love!). Both of these books involve a war during an alternate reality in history. These count, right? Kwanzaa (December 26 - January 1): Read a book set in Africa or the Caribbean OR by an African, Caribbean, or African-American author OR a book with a green, red, or black cover. Epiphany (January 6): Read a book with three main characters OR a book about traveling on a journey to a faraway place OR a book that’s part of a trilogy OR with a star on the cover OR with the word “twelve” or “night” in the title OR or concerning kings or spices. I'm wanting to read Juliet Marillier's Blackthorn & Grim series. I can read Dreamer's Pool for the Epiphany Book Task, "a book that's part of a trilogy" and then continue on with Tower of Thorns or even Den of Wolves for the Kwanzaa Book Task, "a book with a green, red, or black cover." Then I can slip the other book into another Book Task if it qualifies.